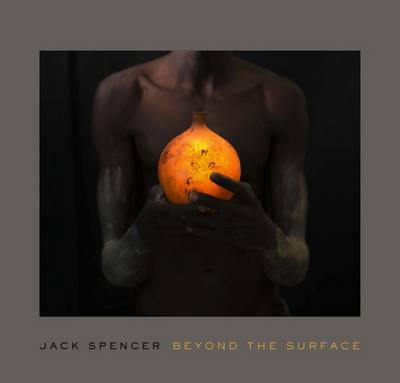 A resident of Nashville whose work has been exhibited and collected internationally, Jack Spencer alters the surfaces of his photographs with techniques suggestive of painting - rich patinas and luminous colours, softly-focused or veiled forms, and traces of the artist's hand: imperfections, marks, and painterly textures. The exhibition catalog consists of an essay by Susan Edwards and 70 full-page colour plates selected from such series as "Native Soil," "Apariciones," "This Land," and "Portraits and Gestures" to exemplify the relationship between these compelling surfaces and Spencer's interest in myth, mystery, and the ephemeral nature of existence that is implied by and beyond the surface. Each of six sections includes works from various series in which the language of photography is expanded to convey narratives inspired by other art forms, especially literature and painting. "Portraits and Figures" reveals Spencer's capacity to define the psychological complexity of the people he photographs, who often occupy the periphery of society. Further exploring the theme of hidden narratives, but as suggested by the altered face, "Disguise/Perform" includes photographs - primarily taken in Mexico - featuring masked and painted figures often associated with ancient rituals and alternative life styles. "Beautiful Lies" includes new work in which the exposed skin of subjects has been painted or otherwise altered by the artist and then photographed with luminous props and mysterious settings to underscore the sense of artifice, as if the body itself is shown to be an imaginative construction. "Day into Night" continues Spencer's consideration of transitions from one state of being to another, this time through the use of ephemeral plays of light and shadow, often suggesting dawn or dusk as signifiers of change. The final two sections focus on the symbolic meaning and phenomenological experiences of the landscape. Inspired by such regionalist painters as Grant Wood, "This Land" includes works that convey dreamlike views of rural and small-town America. "Colour as Light" features landscapes in which the limpid atmosphere merges land, trees, animals, and sky into a palpable gestalt - landscapes of the mind's eye that evoke the limitless quality of Mark Rothko's colour-saturated canvases.